Visiting a new place is a treat for any child, but if your child is on the autism spectrum, what’s meant to be exciting can become stressful for the whole family. In fact, the drawbacks to disrupting routine and introducing unfamiliar surroundings prevent many families from going on holiday at all. However, your child’s autism spectrum diagnosis does not mean you are relegated to staying home. With proper preparation, it’s possible for everyone to have an enjoyable holiday as a family. When travelling with any child, whether or not he is autistic, a kid-friendly destination is of paramount importance. But with an autistic child, you need to not only consider whether the activities and amenities are appropriate, but whether the destination is appropriate for your child and his condition. Some locations, such as theme parks, may prove too stimulating for your child or present situations that trigger serious episodes. Other destinations, like the beach, could be more relaxing, but could also create problems if your child has tactile issues and does not like the sand. Consider your child’s interests as well. Autistic children often have an intense fascination with a particular topic, and a holiday built around that interest — whether it’s dinosaurs or football or something else entirely — will keep them engaged. Keep in mind that some destinations, like Disney parks, are particularly accommodating to special needs children, offering passes or assistance cards that allow families to enjoy all the attractions while meeting their children’s needs. As a plus, child-centric destinations tend to be accommodating of tantrums or other behaviours — few people will notice or mind if your child has a difficult day. Once you decide on a destination, contact your travel providers and explain your needs. Many will make accommodations for families with special needs; for example, you may be able to reserve a hotel room at the end of a hallway or upper floor to reduce excess noise, or priority seating on the flight to allow time to get your child settled. 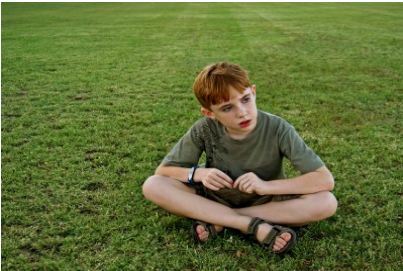 Autistic children thrive on routine. Even a slight deviation from the norm can lead to meltdowns or other problems. When you plan to travel, whether it’s a major overseas trip or short camping trip, prepare your child for the changes ahead of time. This means talking with him about your plans and providing detailed information before you leave. Create a picture book or a binder a few weeks ahead of time outlining where you’re going, what you’ll be doing and who will be coming along. Include photos of the destination and places you’ll encounter along the way — the airport, the hotel, the theme park you plan to visit, etc. — to familiarise your child with the destination beforehand. We had our little one do some reaseach of his own before our family trip. He went on a few sites like https://landofthetraveler.com/ and read some blogs, looked at pictures and got a window into the unknown that he could control. It was very helpful for us a whole and I think his independence has grown a lot since that trip. Since the interruption in routine extends beyond simple location, prepare your child for the disruptions in schedule that travel presents as well. Practice waiting, for example and reward your child after successfully waiting for several minutes. Gradually increase the amount of time you spend waiting, working up to a reasonable amount. If possible, do a practice run at the airport or train station to show your child what will happen on the day of your trip, or stay in a hotel near home for a night to get him familiar with the process. No one likes to think about the possibility their child could get lost during travel, but it happens. Ensure your child is wearing identification when you head out; attach a card with his name and your contact information, noting he is autistic and listing anything a person can do to help him stay calm. If you’d like your child’s information less visible, you could use an identification bracelet instead. Another option is a personal locator device you can clip onto your child’s belt or shoe. With the device, GPS allows you to locate your child wherever he is. With routine and familiarity so important to autistic children, packing light may not be possible. Bringing familiar bedding and pillows may help your child sleep in an unfamiliar room. Consider renting an apartment or condo instead of a hotel room so you can prepare your own food and meet your child’s dietary needs and restrictions. Pack earplugs or headphones if sensory issues are problematic. Travelling with your autistic child can be a pleasurable and memorable experience if you prepare beforehand. Anticipate and plan for potential issues, and above all, maintain your patience and sense of humour, and everyone will have a grand time. About the Author: Tammy Fogg is the mother of an autistic child and an advocate for autism research. Her family has taken several holidays over the years and especially enjoys exploring historical monuments.